Are you unable to play YouTube videos? This is a common problem, and a frustrating one at that. There is no one fixed reason behind this problem. It can occur because of varied reasons. Thankfully, the issue is easily resolvable. Here we have discussed some easy to follow solutions to fix “YouTube videos not playing” issue. The problem could be because of the YouTube server. It is also possible that an internet connections issue at your end is causing the problem. YouTube uses HTML5 video player to stream videos. As such the problem might be related to Adobe Flash Player or your browser. Here we given solutions that fix the various underlying issue mentioned above. Now, let’s look at the solutions. The problem might be temporary. Just close the tab and open YouTube in new Tab. If this does not work for you, restart the browser and try again. If neither works for you, move to the next solution. The problem might be with the Internet connection. If you are connected to Internet through Wi-Fi, disconnect and reconnect to your router. If you are still facing same issue, move to the next solution. There is a possibility some temporary glitch in your computer is causing the “YouTube videos not playing” issue. Many users were able to resolve the issue by restarting the computer. Restart your computer and check whether YouTube videos are playing. There is a possibility your browser is outdated and hence you are not able to watch YouTube videos. An easy solution to this problem is updating your Internet browser. Here we have discussed ways to update Google Chrome and Mozilla FireFox. Google Chrome will now show the version of the browser and also check for updates. 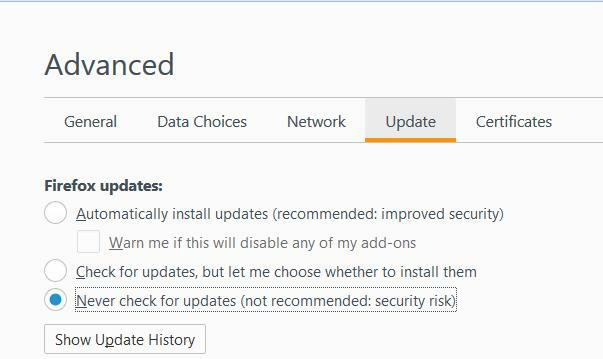 Now, Firefox will connect to update server and install updates. If the browser is not able to update automatically, you need to update it manually. 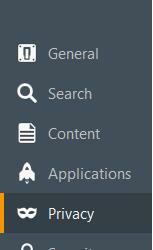 Note down the version of the browser first. You need to uninstall the older version of browser before installing the latest browser version. Now check whether YouTube videos are playing. If the issue is not resolved, move to the next solution. Browsers store cookies and some images, audio, and video files of every website you visit. They also caches pages of the websites you visit. 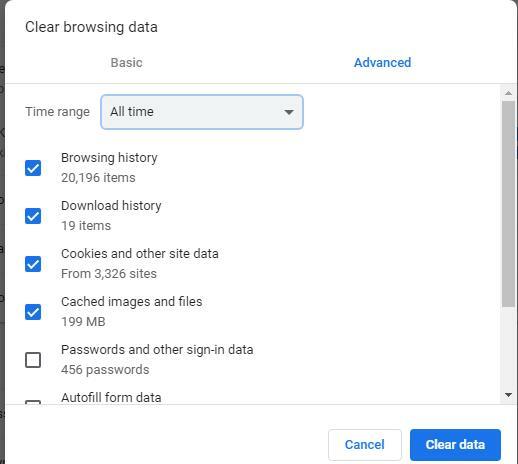 If you don’t regularly delete cookies or clear cache, the size of the temporary internet files and browser cache can become enormous. There is a possibility some cookies and cache have become corrupt and that is causing the “YouTube videos not playing” issue. A simple solution to this problem is deleting cookies and clearing browser cache. 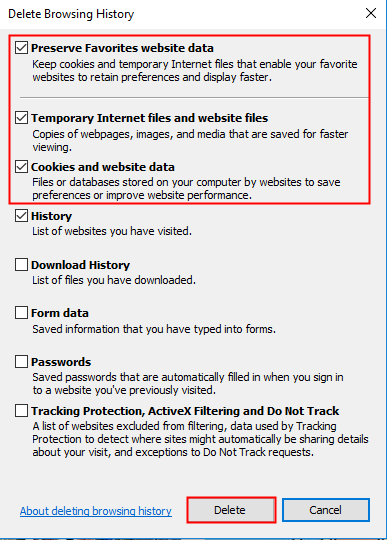 Make sure the boxes for Browsing and download history, cookies, cache, active logins, offline website data are checked. 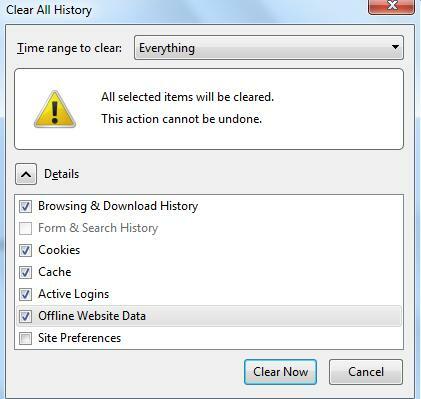 In the Delete Browsing history pop-up dialog, make sure Temporary Internet and website files, Preserve favorite website data, cookies, and website data, history options are checked. 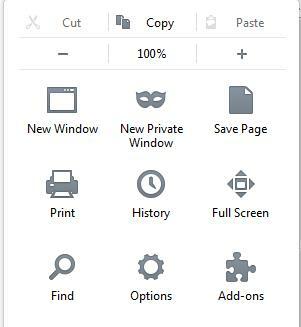 After you have deleted browsing history of browser, restart your computer. Now, check whether YouTube videos are playing. If you can’t watch YouTube videos, move to next solution. Though HTML5 video player is the default video player to play YouTube videos, some older computers still rely on Adobe Flash Player to watch YouTube videos. 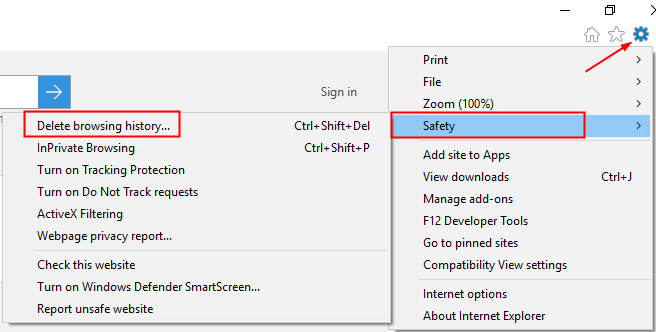 There is a possibility the installation and settings of Adobe Flash player have corrupted, preventing you from watching YouTube videos on your PC. A simple solution to this problem is uninstalling Adobe Flash player and reinstalling updated version of Adobe Flash player. Now check whether you are able to watch YouTube videos. If the problem still persists, move to the next solution. You cannot ignore the possibility of some problem with Internet connection settings. An easy way to fix the issue is to reset Internet connection settings. Check whether you are able to watch YouTube videos. We are confident the “YouTube videos not playing” issue would be resolved by one of the solutions given in this post.